Join Ron Wallace and Gary Thomas for Scottish Country social dancing. 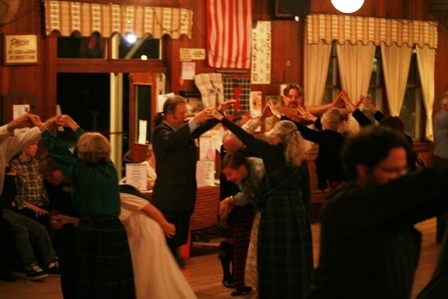 Experience the lovely social dancing done in the ballrooms and village halls of Scotland. Everyone is welcome and no partners are needed. Wear clothing that is comfortable and soft soled – low heeled shoes. Kilts are optional. The Monday class usually takes a break during the summer and near Christmas; plus, three times a year another group meets on Monday night; so, please check our calendar before coming.